AutoMattic Transmission: Mystery Beer Blogger! I do intend to return to writing on this blog, pinky swears, but in the meantime I'm allowing a friendly hijacking by a beer aficionado. Please enjoy the craft brews reviews of someone we'll call Mr. X.
I’d like to start of this first blog post by telling you a bit about myself and also what I will be blogging about. First, I am a maritimer. Born and raised on the east coast of Canada. We are known for many things, beer being one of them. To be honest, I didn’t always like beer. It was something I drank but never really enjoyed. It wasn’t until I started travelling and making my own beer that I really started to appreciate the simple complexity of the beverage. How such simple ingredients can be so broad as to almost approach overwhelming. The different varieties of ingredients, the ways it can be brewed the different flavours that come of minor changes. In another life I would like to be a brew master and own my own brewery. - Beer name, location, and style of beer. - Description of the style, origins and information about the brewery. o Do I like it (Yes or No) and why. There is one hitch. I will be travelling from the 19th of December until the 1st of January. This means that the last 5 beers from my Advent calendar will not be coming with me. I will post those last 5 after I return from my trip. In the meantime I will be blogging about beers I have the opportunity to experience while in the Maritimes. 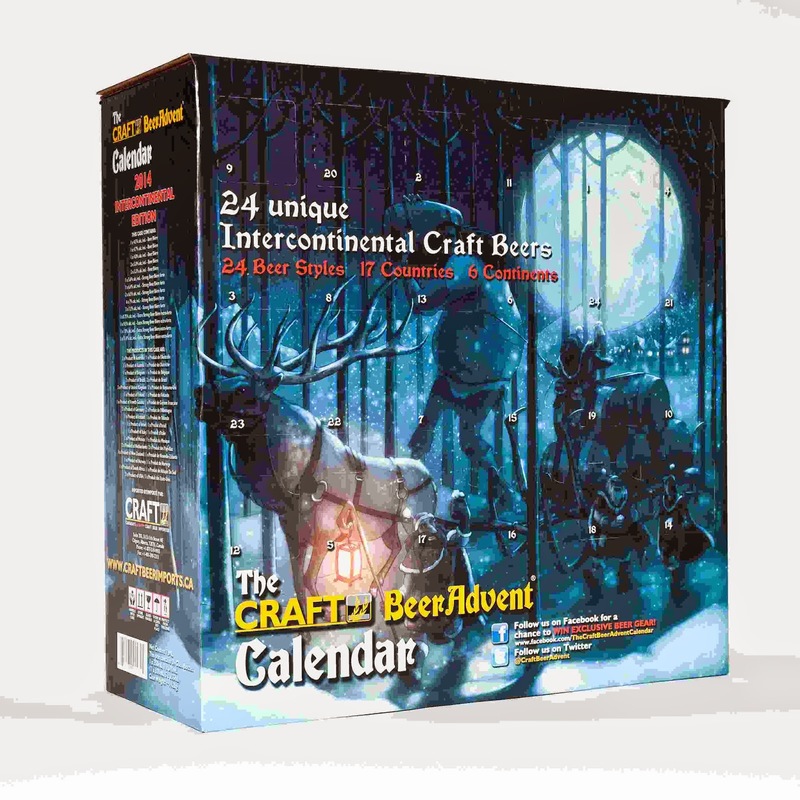 One of my favorite breweries does the “12 beers of Christmas” and so those will be posted until my return. I’ll let you know as I get closer to the time. I hope that you enjoy reading this blog as much as I enjoy trying the different beers.